The collar is definitely the best bit of this sweater. I love how it looks although I think I should probably have made the button loop a little shorter! 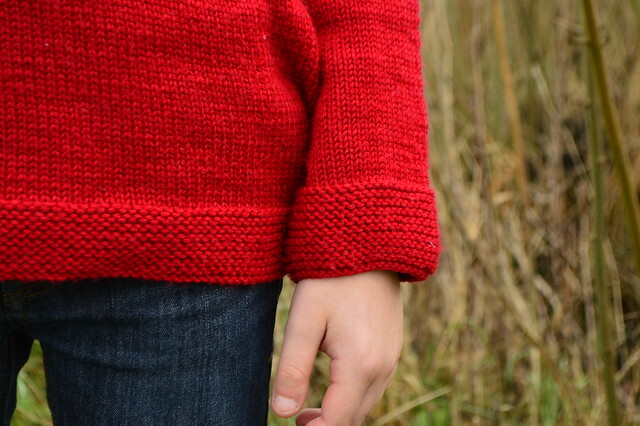 I used Wendy Superwash Merino DK to knit this sweater, it's super soft and a lovely bright colour. 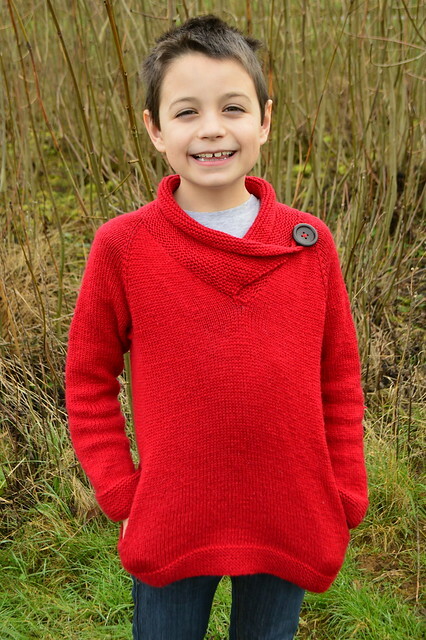 I've used it previously in a different colourway to knit a Frozen sweater for him and a Koru Hat for me. Both have washed and worn well so I'd recommend this yarn and would use it again. 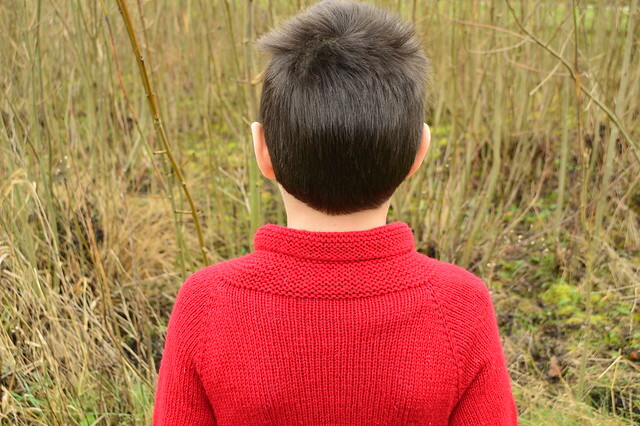 Beautiful sweater and a very handsome young model. 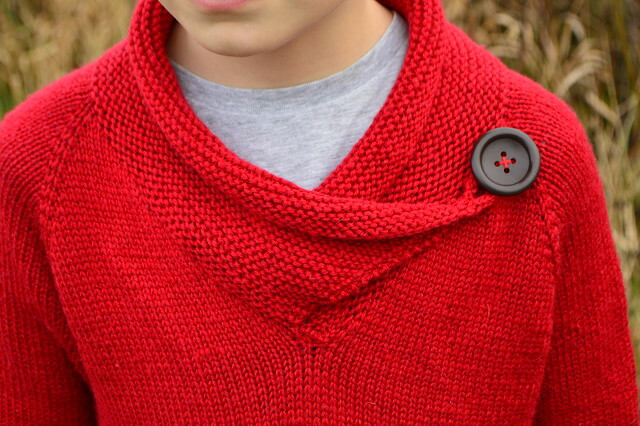 Love the collar and the beautiful colour of the yarn. What a handsome boy you've got here, Evelyn. His new jumper is terrific. I like this red on him. The collar is interesting and I like the button accents. Lovely work there. He looks pleased! That is such a cute sweater. It's so funny that he grew while you were knitting it! I love the collar! Reminds me of a Star Trek uniform though. 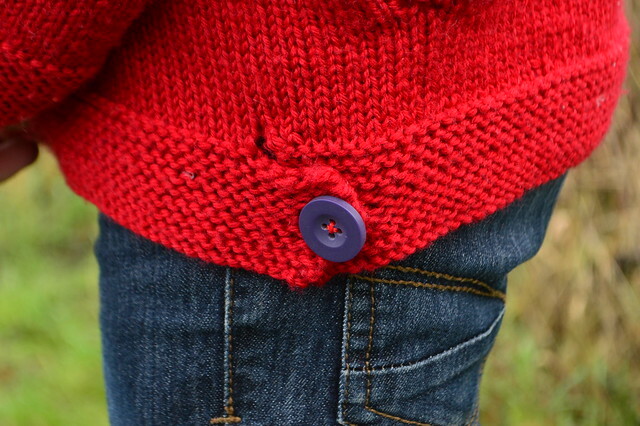 I love the mismatched buttons, Who says they have to match? Lovely sweater and he seems very happy with it too! 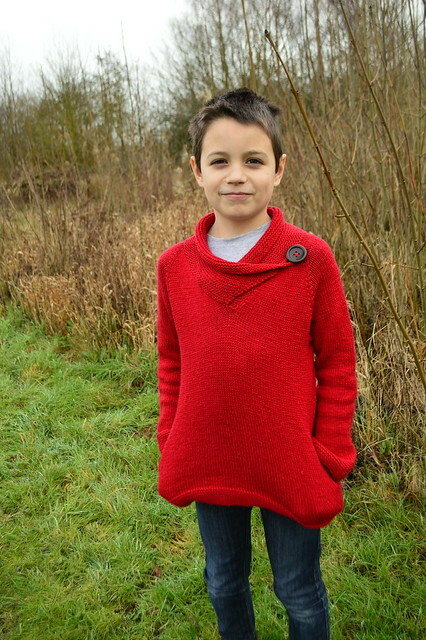 handsome model you got there :) Love the sweater especially the neck shaping and the button! Stunning!! This is just on point, I absolutely love it. I need it in my size. I love this sweater. Very pretty color.